Long may Dublin rip London off and make its own slightly crappier version of things. I'm not complaining though because the Camden Crawl sounds like it's going to be good. 100 live music acts, 15 venues across Dublin, 2 days. Marvellous! Mainly going to see Mystery Jets but also hoping to see Let's Buy Happiness and Little xs For Eyes. 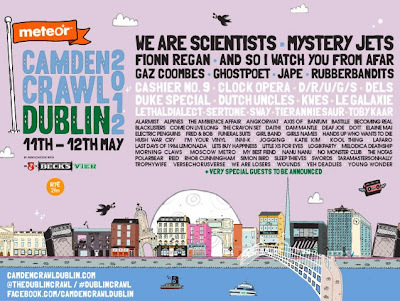 Interesting they still call it 'Camden' Crawl lol... ah well why not eh?